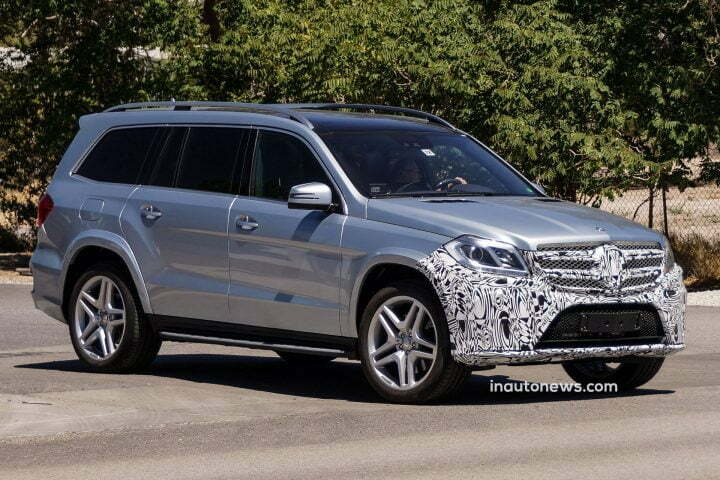 Mercedes-Benz is all set to introduce the facelift version of its flagship SUV, the GL-Class. 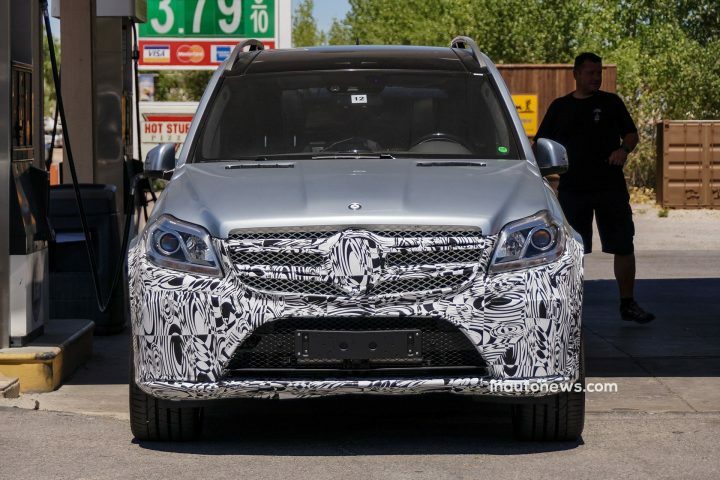 The new facelift GL-Class was spotted testing in United States with only the front fascia covered with the black and white camouflage. The company is making some minor changes to the GL-Class which was introduced back in April 2012. The revamped 2015 version will feature changes to the front fascia which might confine the changes to an updated grille, tweaked headlamps and a restyled front bumper. The rest of the design seemed unchanged. 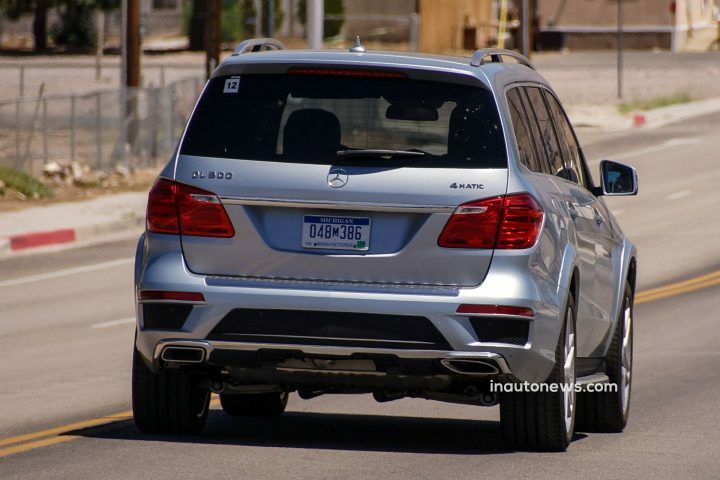 From the badges on the rear, it can be easily recognised that the vehicle spotted is a GL500 4MATIC. This model is powered by a 4.7-litre V8 engine that churns out 428 BHP of power and 529 Nm of torque. This power is sent to all the wheels through a 7G-TRONIC transmission which allows the GL to sprint from 0 to 100 KMPH in 5.4 seconds with an electronically-limited top-speed of 250 KMPH. Reports suggest that the next-gen version will be offered in a more luxurious Maybach variant. Until then, the automaker might unveil this facelifted current-generation GL at the Paris Motor Show in October 2014 or at the Detroit Motor Show in January 2015. The update will be carried over to the GL350, GL450, GL550 and GL63 AMG. In India, the available models viz. GL350 and GL63 AMG will follow up the updates after it goes on sale in the other countries around the world. We will keep you posted with further developments until then do let us know what you think of the luxury Mercedes-Benz GL-Class facelift!